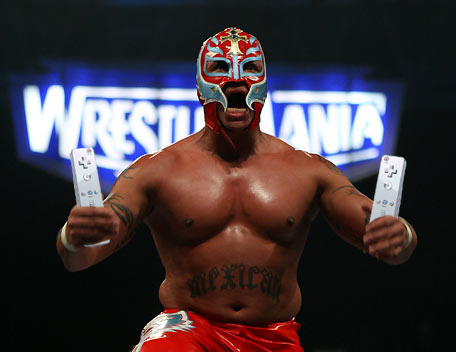 *RUMOR* THQ works on Smackdown for Wii? Jeux-France is reporting that THQ is working on a version of WWE Smackdown for the Wii. Although they are not claiming their story as 100% true, they are stating that the information comes from a couple of trusted sources. We all know that THQ has brought wrestling games to Nintendo’s past consoles, and I don’t doubt we will see one pop up on Wii. JF also posted this hilarious picture with their story, which was too good not to share. New email address for news tips! Please send all your news related emails to tips@gonintendo.com. GoNintendo needs your news tips!